Oulun kaupunginteatterilla syksyllä esitettävä Amadeus käynnistyy syyskuun lopussa! Alla näet missä esityksissä minä olen mukana. Suluissa myös esitykset, joissa esiintyy toinen klarinetisti Reetta Rajaniemi. Here is possible to see the time table of the performances of Amadeus. 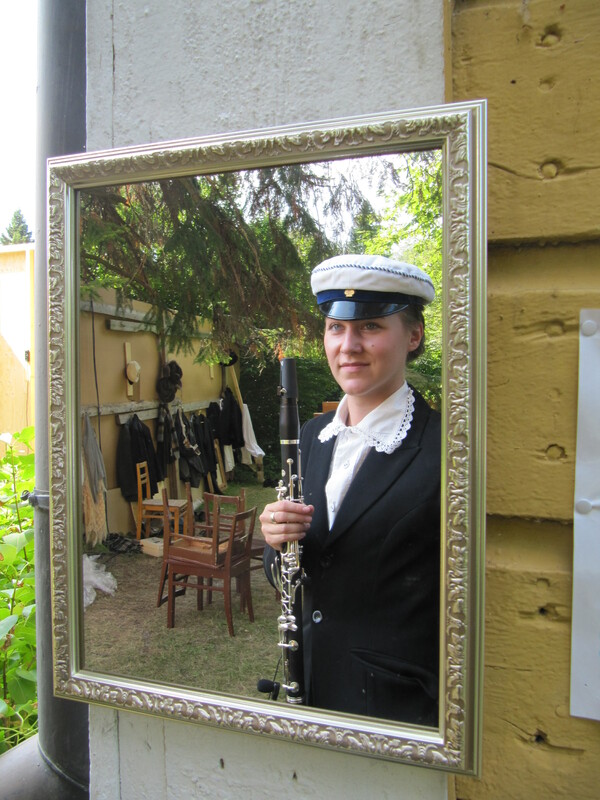 The other clarinetist Reetta Rajaniemi is going to plays performances announced with brackets. This entry was posted in Performance on August 21, 2014 by helipauliina. I ended up in front of this question during one course. The course was called “Personal Career Plan”. Usually it’s possible to skip these questions but this time we really had to start thinking what are our skills that could be some money’s worth. There were people from many backgrounds in the course and I think I was one of those really few who were focusing on classical playing. During all my education the main thing has been developing my skills on playing the clarinet. And how does it happen? Inside the practicing box alone the most of the time. That led me into a short depression. What am I? “I’m just one quite good clarinetist.” But is that enough? No, it’s not enough for marketing yourself. Do I have anything special to offer? After thinking a lot I started to find somethings that might make me unique among all other good clarinetist. I’m interested in musicians health. I find sports and other activities very important for musicians to keep their body balanced and to be in the best condition to be able to reach the best outcome with playing. My latest thesis is about this theme. I’m international. I have good connections to quite many people from quite many countries. I have also lived abroad two times and have studied 5 foreign languages. Also I’m able to imitate Tampere dialect a bit. I have good social skills. Even though I’m sometimes a bit shy, I get along with people easily. Still I should have more contacts. I have good organizing skills. I like to plan ahead. I make lots of different kind of lists and plans and usually I’m able to fulfill those plans. I like to write. I think this blog is one good proof. I’m good with computers and other devices. Today’s world expects everyone and everything to be online. I enjoy performing. I enjoy choosing the clothes and planing my appearance for concerts. I like to drive but I still don’t have a car. I’m quite good to massage. Maybe I could become musician’s massage therapist. I don’t know if it’s a skill but people tend to ask me all kinds of information. For example people seem to trust that I know always the timetables or where to find some places. To get a job as a orchestra musician it seems that only the playing skills should matter and that’s why it’s the biggest part of the education, I guess. Sometimes also knowing the right people plays a big role. Playing in an orchestra is my dream at the moment. But I believe I would be happy if I could find a job where to use my skills and feel that I’m useful. After all, doing what you like makes you happy. And I believe all people have skills that they even didn’t think very valuable in the first place. Find your own! This entry was posted in Uncategorized on August 16, 2014 by helipauliina. I’ve got really amazing experiences this summer also with playing and music. 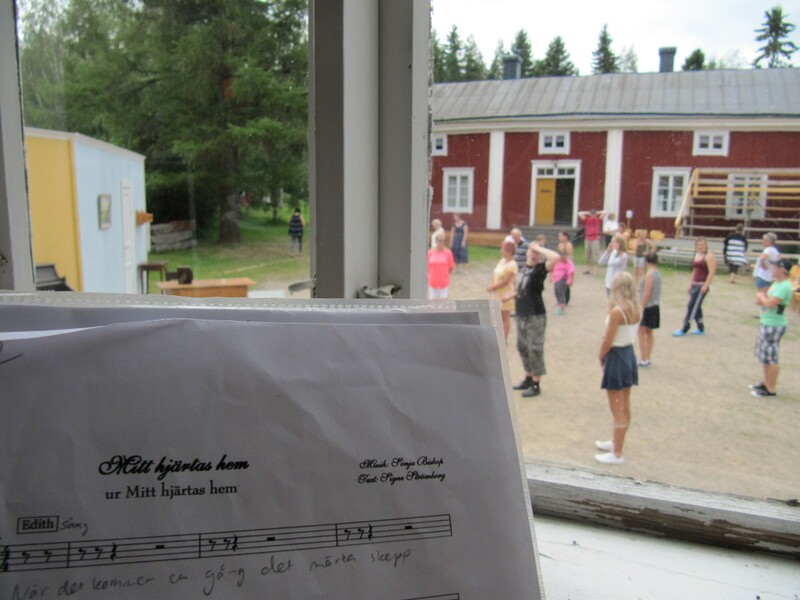 The first part of July I spent in Kruunupyy in a summer theatre. I jumped in during the premiere week rehearsals so I had to absorb everything quickly. The whole group of people working there were wonderful and it was really easy to feel to be apart of the show right away. It was also cool to see behind the scenes. The performance begins with clarinet solo. I felt that I’m the one who gives the feeling and the enegry for the whole performance. Before every performance we gathered together inside and made some exercises for focusing and energy. Those were really inspirating. Maybe orchestras or enseblmes should do these kind of common things together before performances too? Many people came to thank me for my job there. It means a lot to me. Also it was good two weeks practice of swedish language. 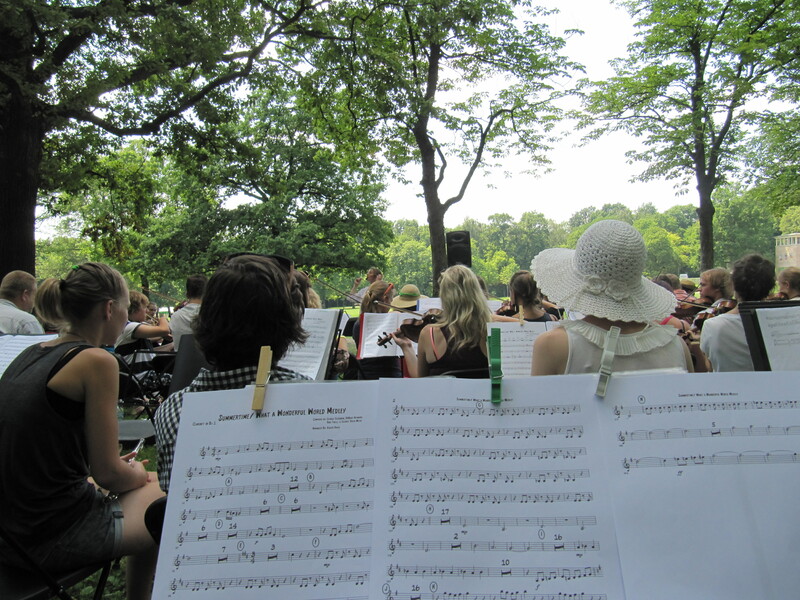 My other musical summer experience happened a bit more far away in the heart of Europe. 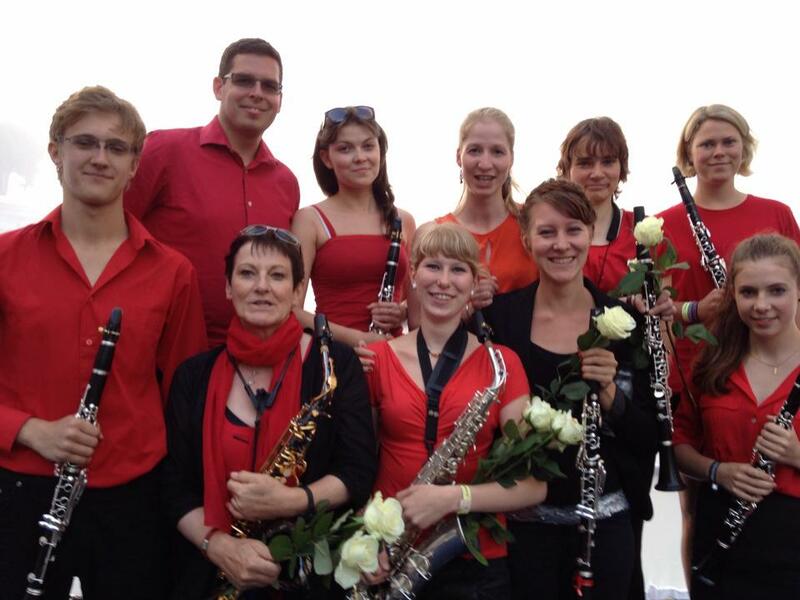 We spent one week practicing and having a three concert’s tour in Chemnitz, Germany, Chomutov, Czech Rebuplic and Łódź, Poland. We played all the time outside and it was really a touch with the nature finding spiders for example hanging on your chin. One rehearsal was in a church because of the rain but otherwise the weather was perfectly sunny. Even a bit too hot for my taste! Summer is slowly coming to it’s end and next week is time to start working again. For sure I will write about my thoughts as a teacher and musician working in a theatre. This entry was posted in Uncategorized on August 7, 2014 by helipauliina.